The FBI had ample evidence to stop the massacre in Parkland, but it appears they were too busy investigating Russkie conspiracies. Sure, 17 innocent people are now dead, but at least we secured some indictments on 13 Russian foreign nationals who will never be extradited! These things need to be put into perspective! PARKLAND, Fla. – Gov. Rick Scott called on the FBI director to resign Friday after the bureau admitted that it failed to investigate a tip in January about the Parkland school shooting suspect. 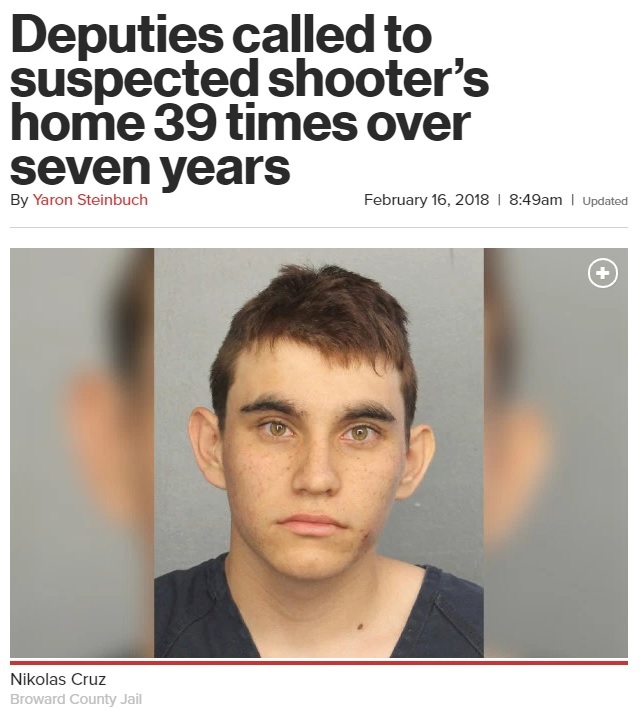 Cruz, 19, faces 17 counts of premeditated murder in connection with the mass shooting at Marjory Stoneman Douglas High School. The FBI confirmed Friday that a tipster who was close to Cruz called the FBI on Jan. 5 and provided information about Cruz’s guns, desire to kill people, erratic behavior and disturbing social media posts. FBI officials said the caller expressed concerns Cruz could attack a school. Robert Lasky, FBI Special Agent in Charge of the Miami field office, said agents in the Miami field office were never notified about the tip. The FBI was also notified about a comment on a YouTube video posted by a “Nikolas Cruz” last year. How are we supposed to investigate this when we only have his name and his address??? Deputies were only called to his house 39 times in seven years! Did we mention we caught some Russians trolling during the 2016 election?? ?